This research will develop a framework of ecosystem indicators — gauges of ecosystem health — for Northwest Atlantic and Canadian Arctic Gateway ecosystems and will provide guidance for regional management strategies and conservation efforts. Development and sustainable use of ocean ecosystems requires metrics of how well ecosystems currently function in order to predict how effective management approaches can guide ecosystem function in the future. A holistic perspective of ecosystem indicators — from microbes to fish to plants to humans — will identify what measurements can be used to evaluate the overall functioning of an ecosystem given climate change, fishing, and other pressures. 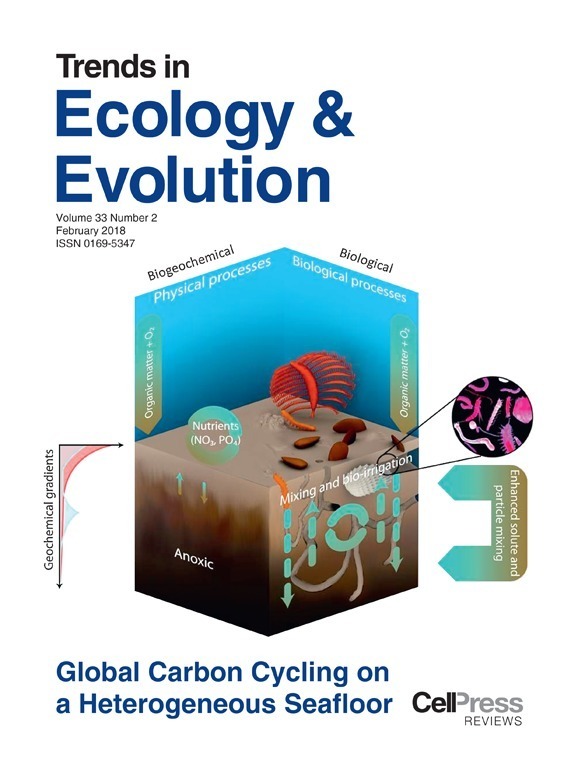 This research encompasses two components: the first identifies key ecosystem indicators, with a focus on the cycling of nutrients and the connectivity between North Atlantic marine ecosystems; the second considers how humans interact with ecosystems and resulting benefits and impacts associated with healthy ocean ecosystems. 1: Developing and operationalizing indicators for management of Northwest Atlantic ecosystems This module will develop usable and effective indicators of ecosystem health for ecosystem-based management and conservation that will link to potential actions that stakeholders and marine managers can take to maintain ecosystem health. Researchers will examine food webs in coastal environments and beyond, and assess northern Arctic Gateway ecosystems, their marine life, and their habitats, in order to evaluate change over time. 2: Ecosystem access in a changing ocean This research component adds the human element, linking ecosystem indicators to an assessment of the vulnerability of natural change and human-induced pressures (including climate change, fishing, and loss of coastal habitats). It identifies priority management areas based on community preferences, and analyzes potential management implications on North Atlantic ecosystems and human communities. This framework of ecosystem indicators will assess the health of Northwest Atlantic and Canadian Arctic Gateway ecosystem components and how they change over time. The results will support policy decisions and inform conservation strategies, such as the ongoing growth of Canada’s network of Marine Protected Areas. By taking a broad view of ecosystem health, including the human socio-economic component, this research will enhance our ability to make evidence-based decisions and better manage human interactions with marine ecosystems. The module is co-led by Paul Snelgrove of Memorial University of Newfoundland who also serves as the Network Director, Natural Sciences & Engineering Research Council of Canada’s Strategic Research Network “Canadian Healthy Oceans Network (CHONe II)” and by emerging researcher, Megan Bailey of Dalhousie University, who holds the Canada Research Chair in Integrated Ocean and Coastal Governance. Amanda Bates of Memorial University of Newfoundland; Dr. Bates was named a Canada Research Chair in May 2018. Susan Ziegler of Memorial University of Newfoundland; Dr. Ziegler was named a Canada Research Chair in May 2018. Collaboration and learnings will be shared with another OFI project: Future-proofing marine protected areas, allowing researchers to generate additional value and eliminate duplication of effort. 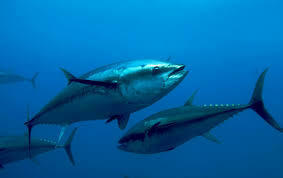 Tuna is one of the most ubiquitous seafoods. It can be eaten from a can or as high-end sashimi and in many forms in between. But some species are over-fished and some fishing methods are unsustainable. How do you know which type of tuna you’re eating? OFI researcher, Megan Bailey reflects on this question in an article she wrote for Conversation Canada. A new paper co-authored by OFI researcher, Amanda Bates, is warning marine protected areas (MPAs) are increasingly at risk from climate change. 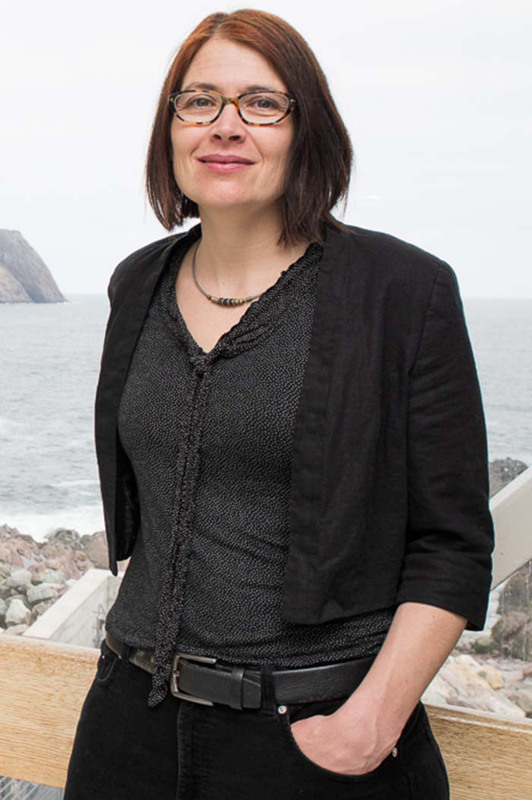 Dr. Bates, an Associate Professor at Memorial University of Newfoundland is the Canada Research Chair in Marine Physiological Ecology with the Department of Ocean Sciences. Although MPAs are a primary management tool for mitigating threats to marine biodiversity, she says the warming associated with continued “business as usual” emissions will likely result in further habitat and species loss. “Climate change is not going to stay out of our MPA borders — it’s there,” said Dr. Bates. Learn more by reading her co-authored paper, published in the journal Nature Climate Change. In Trends in Ecology & Evolution, researchers — including OFI's Paul Snelgrove — compare global carbon turnover rates using models grounded in biological versus geochemical theory and argue the turnover estimates based on each perspective yield divergent outcomes. Importantly, empirical studies that include sedimentary biological activity vary less than those that ignore it. Improving the relevance of model projections and reducing uncertainty associated with the anticipated consequences of global change requires reconciliation of these perspectives, enabling better societal decisions on mitigation and adaptation.